You have to eat right to feel right. 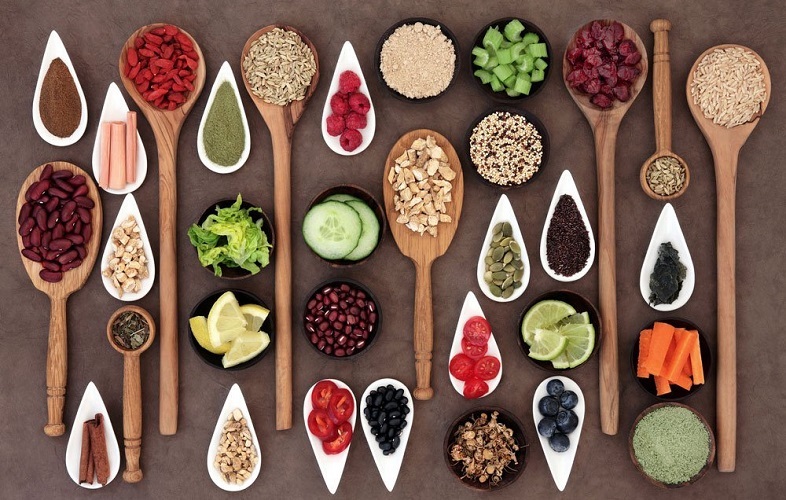 Sixteen of the best foods for a fit lifestyle; well, that sounds enticing, doesn’t it? But how does one determine what is considered a fit food exactly? To break it down simply, they are foods that tick most of (if not all) the boxes of what’s considered the complete nutritional package. We’re talking about lean protein, healthy fats, good carbs, dietary fiber, and packed full of antioxidants. 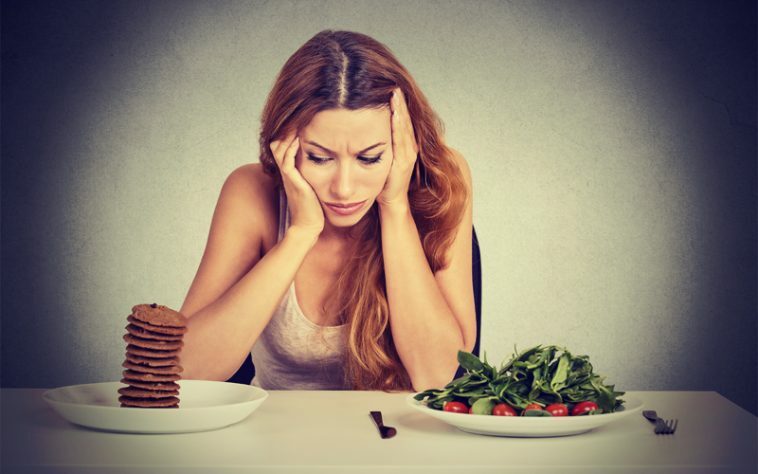 Of course, most foods won’t have all of these things, but combining the right ones together as a meal can help you maintain a complete diet. So let’s jump right into the list. 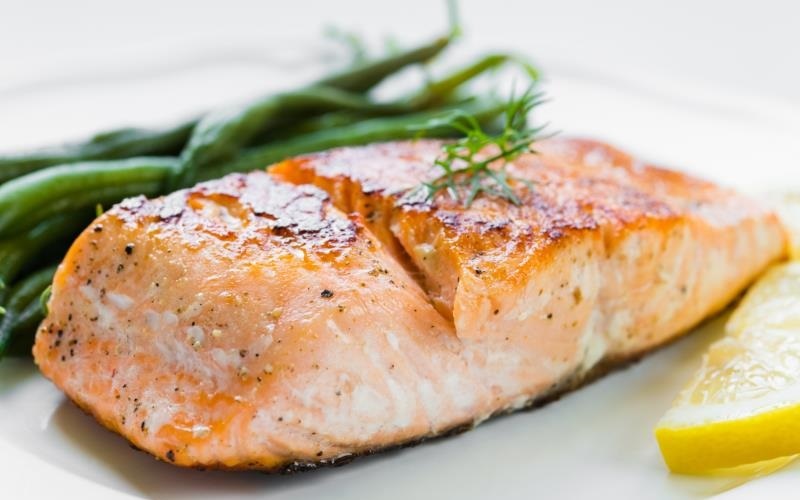 First off, salmon is a protein powerhouse containing 20 grams for every cooked three-ounces. With just 121 calories per three-ounce serving, you’re getting a lot of protein for very few calories. This is an ideal choice for bodybuilders, as well as anyone just trying to maintain a fit and healthy lifestyle. Salmon is a very healthy choice for more reasons than just its protein count. It’s also densely packed with healthy omega-three fatty acids; which helps regulate your heart rhythm, slows memory loss as you age, and keeps your arteries and veins clear of blockages. And as an added bonus, it tastes delicious too. All in all, salmon is one heck of a fit food. Hey, while we’re on the subject of great sources of protein, let’s check out one for those who may not enjoy fish. Skinless turkey breast yields seven grams of protein for every lean ounce. We say lean because a three-ounce serving comes in at only 72 calories; making it a great protein source to eat for dinner, or just as a snack. While being a good source of protein may not be much of a surprise, what you might not be aware of is its nutrient build. 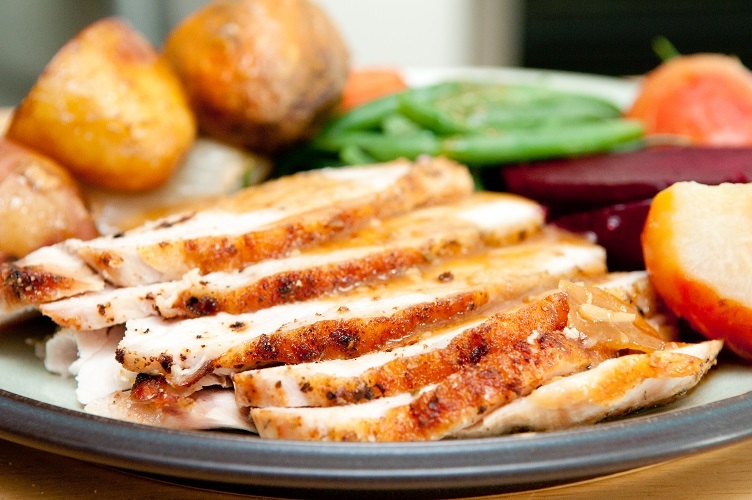 Turkey breast is high in B vitamins, selenium, (a known cancer fighter) and zinc. There’s also plenty of amino acids and little to no saturated fat. These make turkey breast a very solid food choice. Since we’ve already gone over some good protein sources, it’s about time we added some healthy fiber and carbohydrates as well. Black beans are incredibly high in fiber and will help you feel fuller for longer (this is because they swell up in your stomach which promotes a feeling of fullness). 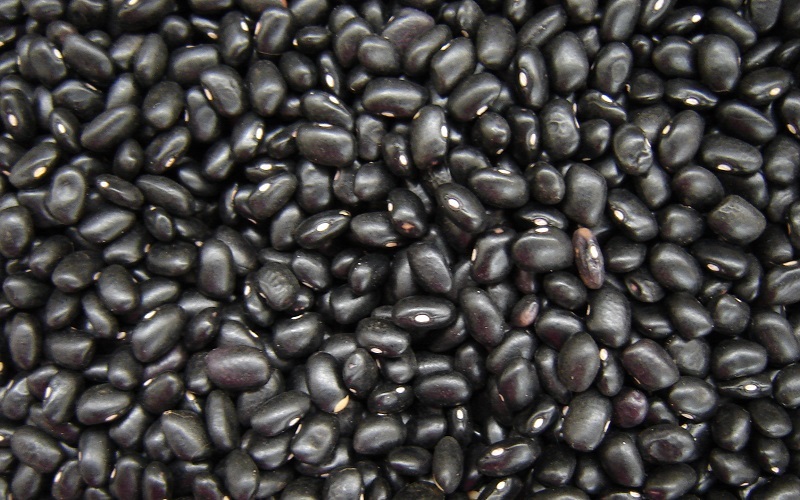 Black beans are also full of a highly complex carbohydrate which is converted to energy over a long period of time. An added bonus is that they are also jam packed with protein, but with no saturated fat like you’d find in meat. And while other members of the legume family are great, black beans top the list because they have the most fiber per serving. First off, why is white bread considered bad for you while whole-wheat is good? This is because white flour actually digest far too quickly, causing a rapid energy spike that just as rapidly leads to a crash. Those insulin spikes damage your cells and can cause excess fat storage, depletion of protein, and rob you of fiber. To put it simply, avoid white bread. 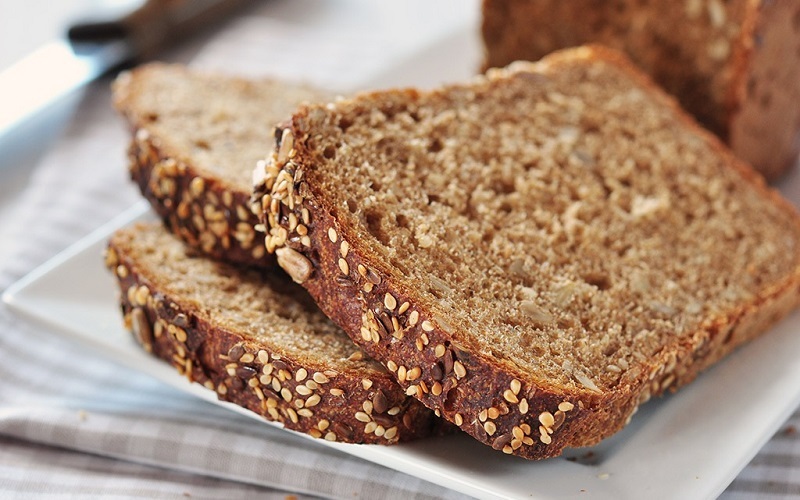 Now, the whole grains that make whole-wheat bread are complex carbohydrates. These leave you feeling full for longer periods of time. They also provide the longest supply of sustained energy which is good even if you’re on a carb cutting diet. But make sure you don’t get fooled by purchasing brown bread thinking it’s whole-wheat. Cheaper breads are just colored brown with molasses. What you should look at is the ingredients list to make sure. The product will say it contains 100% whole-wheat right on the package and will be listed as the first ingredient. What better way to eat your whole-wheat bread than dipping it in a delicious extra virgin olive oil mixture? You see, olive oil is great for heart health as it’s rich in good monounsaturated fat. Switching out butter with a monounsaturated fat such of that in olive oil can even reduce the risk of heart disease. But heart health isn’t the only reason for eating this healthy fat source; it also acts as a potent anti-inflammatory. 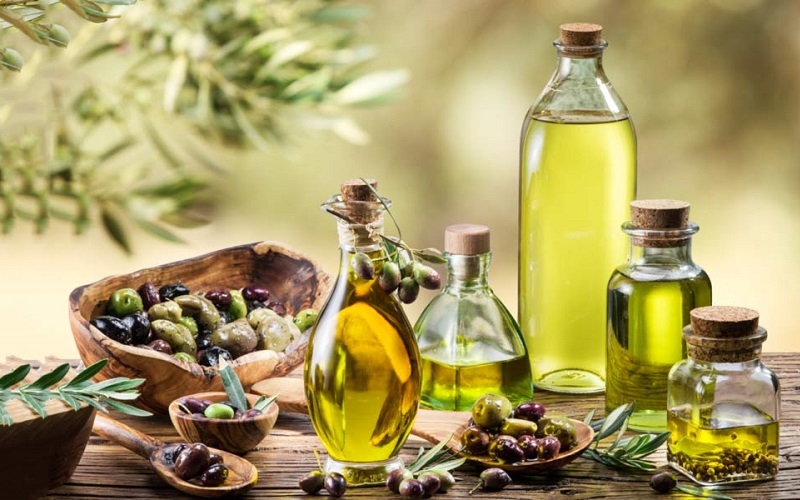 A diet containing extra virgin olive oil is shown to reduce swelling and pain on par with a dose of ibuprofen. And you don’t just have to cook with it. Try adding it with balsamic vinegar to create your own healthy salad dressing. You can even add one-to-two tablespoons to your daily protein shake if you’re really feeling froggy. There’s a reason why countries that are full of green tea drinkers are also countries with the slimmest and longest living people. Green tea is a known metabolism booster and helps promote healthy weight loss. This is why you see it listed as an ingredient for many fat burners. It’s also full of powerful antioxidants which are known to help prevent cancer and slow the development of Alzheimer’s. 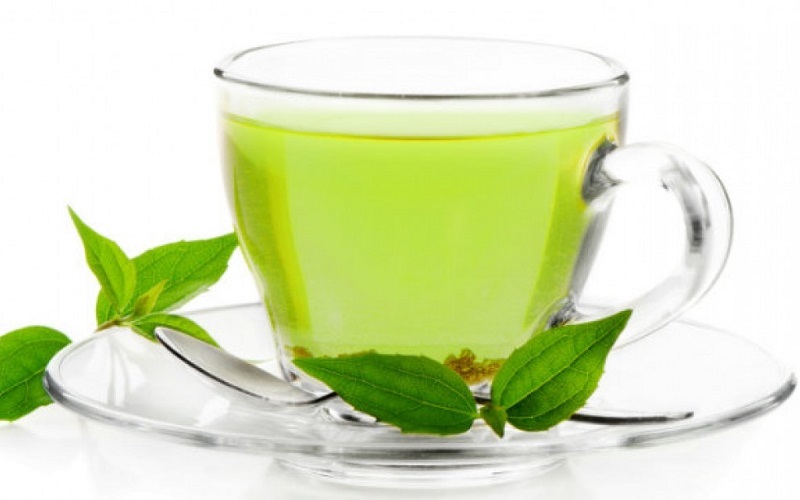 Green tea is also a good source of natural caffeine that will give you an energy boost without the jitters. It’s good to drink hot or cold, or you can even buy it in a liquid extract form. Just a drop of the liquid extract in water and you make instant tea. Quinoa has garnered a lot of buzz as a super-food in recent years. It’s definitely a fad food right now, but that’s for a good reason. Quinoa is an exotic whole grain (it’s actually a seed but better resembles a grain) grown in the Andes mountains and has a light, mild flavor. This makes it a good choice for people who may not necessarily enjoy eating whole grains. 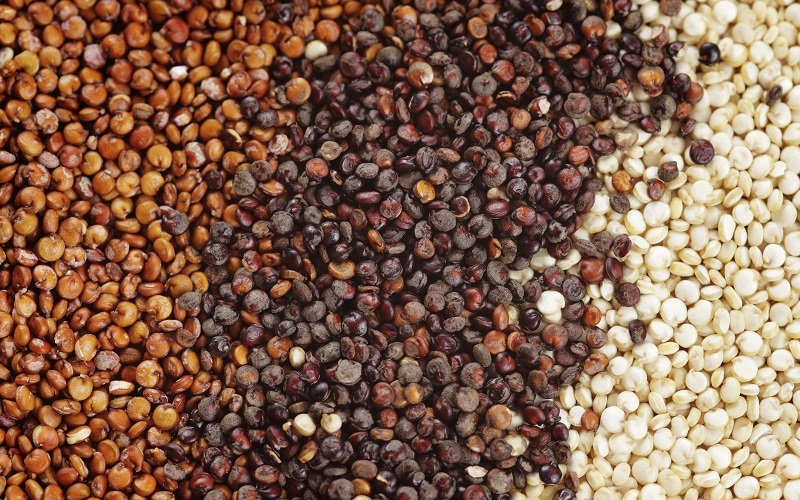 Quinoa is higher in protein than any other grain, and it packs a hefty dose of heart-healthy unsaturated fats. It’s also a great source of protein (eight grams per cup), B vitamins, and fiber. Like brown rice, you might not want to always spend the time cooking quinoa. Luckily, you can buy faster cooking versions or even dried, toasted quinoa (which is great to add on salads). Oh, the almond, what a wonderful super-food. Almonds are good for your digestive system because they are a good source of fiber. They are also a great source of vitamin E which promotes good skin. 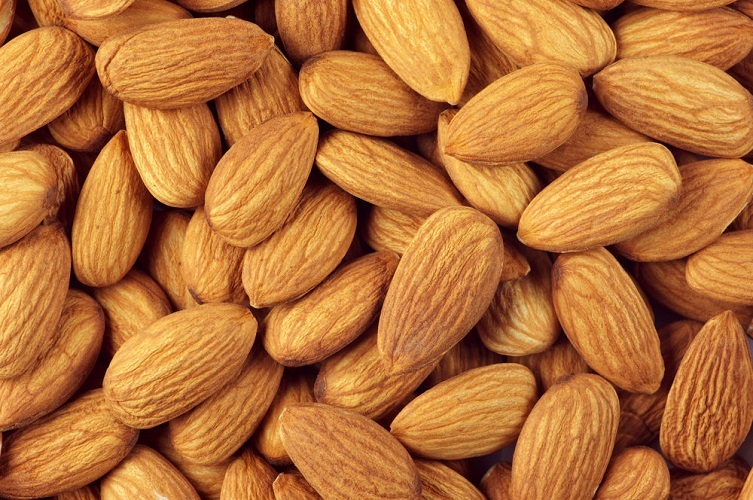 For the bodybuilders out there, almonds are high in protein which makes them a great muscle building snack. And since they’re loaded with healthy unsaturated fats, they’re good for your heart too. Now, many people avoid almonds because they’re so calorie-dense. But this is counterproductive. Studies have shown adding two ounces of almonds to a person’s diet on a regular basis causes no significant weight change. This is thought to be because almonds are so hard, not all their calories are absorbed into the body. So, don’t skimp out on almonds. Here’s something bodybuilders have known for years: eggs are king. They contain six grams of muscle-building protein and have some of the highest naturally available doses of a vitamin called choline. Choline is thought to enhance the memory and is often found in many brain and focus supplements. This means having eggs for breakfast is always a good call. Especially when you’re training a lot and trying to add muscle. And don’t worry about the cholesterol in the yolk, studies have shown eggs don’t cause any negative effects to your good cholesterol. 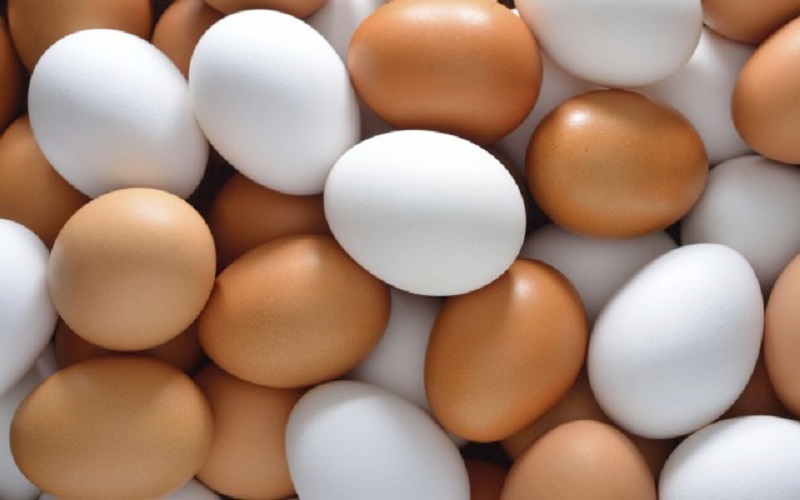 The yolk does contain Vitamins A, D, E, B12, and K; plus, riboflavin, folate, and iron. 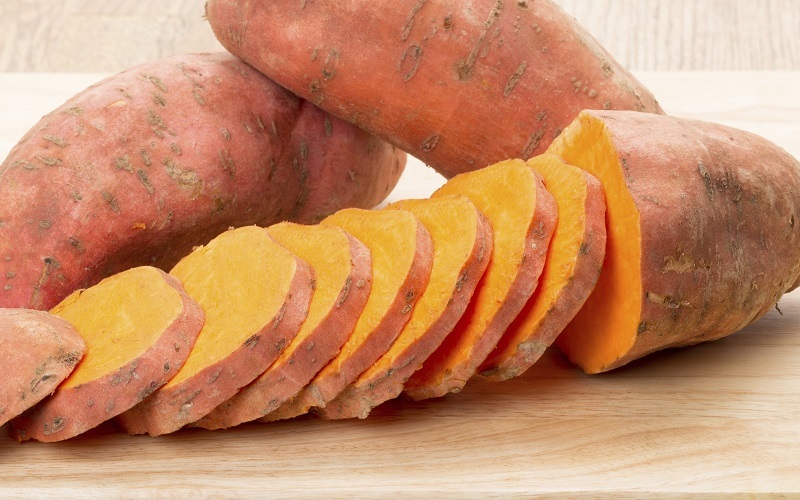 In just four ounces of sweet potato, you get more than 100% of your daily supply of beta carotene. We don’t know how many carrots you’d have to eat to get that amount, but it’s way too much. Sweet potatoes also give you large dose of iron, as well as plenty of vitamins C and E. All this makes a superb food for athletes as these nutrients work together to protect the body from all kinds of cellular damage. This allows athletes to better compete in extreme environments. It’s no surprise then sweet potatoes are one of the best foods for muscle recovery after tough workouts. As for eating them, there are plenty of great ways to prepare them to your liking: then can be baked, boiled, diced for sweet potato chili, substituted in potato salad, made into oven-baked fries, or even grated onto hamburgers or meatloaf. Just look around for various recipes and you’ll never get bored of them. Here’s something nearly all dietitians recommend: eat your greens. And one of the best greens on the planet is spinach. These leafy greens are loaded with fiber, calcium, and nearly one whole day’s worth of beta carotene. 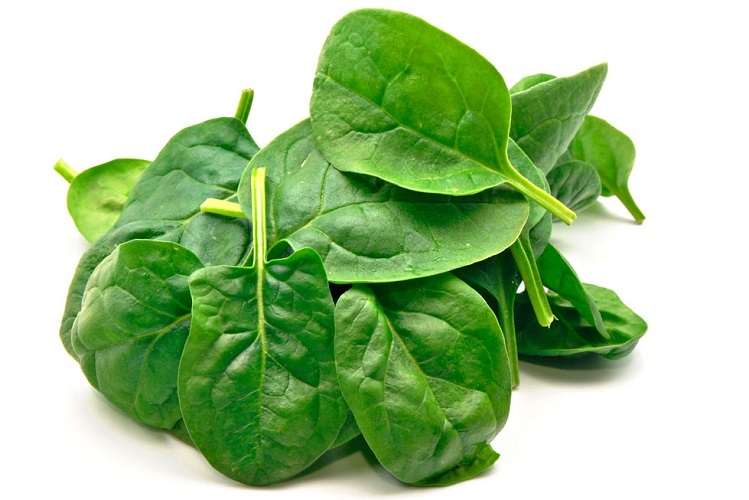 For those who don’t care for the taste of spinach, try adding it to other dishes rather than eating it on its own. You can put spinach in soup, pasta, burritos, and even in your morning eggs. At only 7 calories a cup, it adds a whole lot of fiber and nutrients to your meals without any worry of gaining fat. Nutrient blast smoothie: Mix spinach with rainbow kale, baby arugula, watercress, a half cup of frozen blueberries, a half of apple, and one serving of tart cherry juice to create an ultimate nutrient smoothie. We can’t have a list of fit foods without another bodybuilding staple – broccoli. Broccoli is one of the best vegetables you can eat. 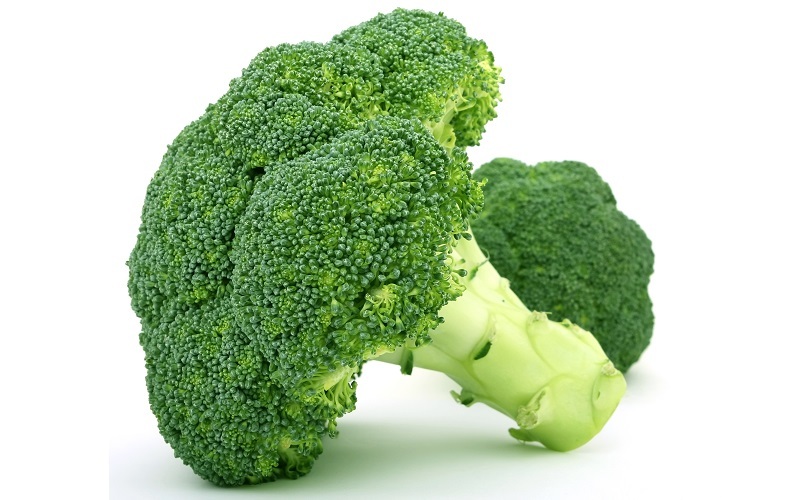 A member of the cabbage family, broccoli is rich in iron, calcium, vitamin C, and is high in fiber. With all of its wonderful nutrients, it helps everything from aiding the circulatory system, to strengthening the bones and fighting colds. While some might find broccoli to have a strong taste, you can counterbalance that by cooking it with other things such as in a chicken stir-fry. You can also throw in frozen broccoli florets into your smoothies and protein shakes. Surprisingly, it blends very well and is easily masked by the other foods and powders in your shakes. Finishing off the vegetables on this list, we have the lovely tomato (tomatoes are actually a fruit, but who really considers them one?). We all know tomatoes are good for you and taste great in salads or as the main ingredient of red sauces. But they are on our list for another reason. Tomatoes are very dense in one key nutrient: lycopene. 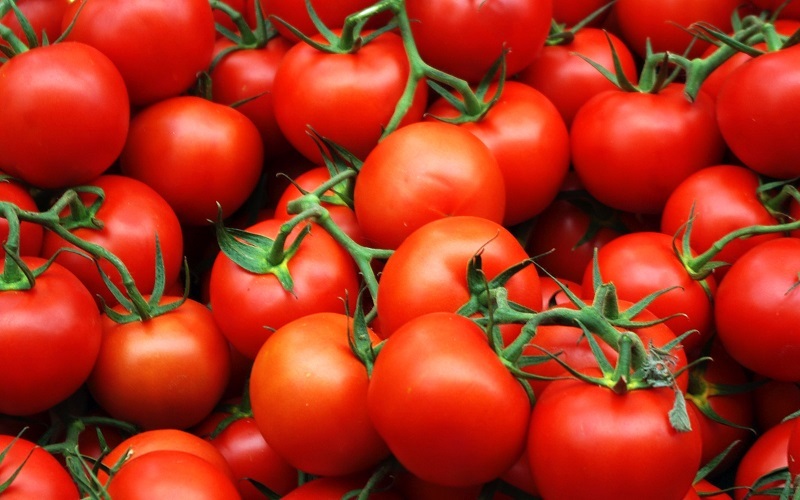 Lycopene comes from the pigment that gives tomatoes their red color and is an incredibly powerful antioxidant. Studies have shown this nutrient can help fight off a number of diseases and it very important in helping men fend off prostate cancer. And unlike some other vegetables, tomatoes are more nutritious when cooked verses being eaten raw. But however you eat them, the important thing is that you are eating them. Oatmeal, yet another favorite food among bodybuilders (starting to see a trend here?). This delicious breakfast food is great for spiking your energy levels for a few hours in the morning. It also contains plenty of zinc, which helps fight stress and boost your immune system. 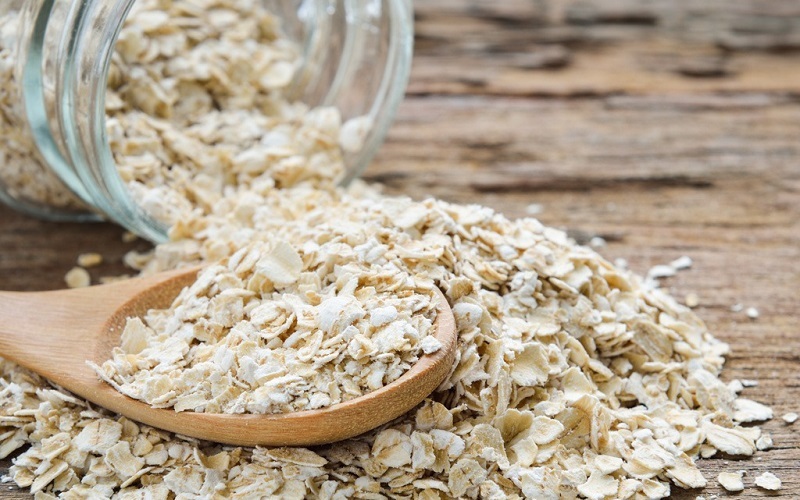 If you need another reason to whip up a bowl, oatmeal has also been shown to help promote weight loss and lower risk of heart disease. This is because it’s filled with high levels of soluble fiber which protects the heart and arteries by flushing out cholesterol. But make sure you’re avoiding the sugar-filled instant packets in the store. Instead, go for a big tub of instant oatmeal and add your own natural sweeteners at home. Speaking of natural sweeteners, nothing goes better with a nice bowl of oatmeal than fresh blueberries. 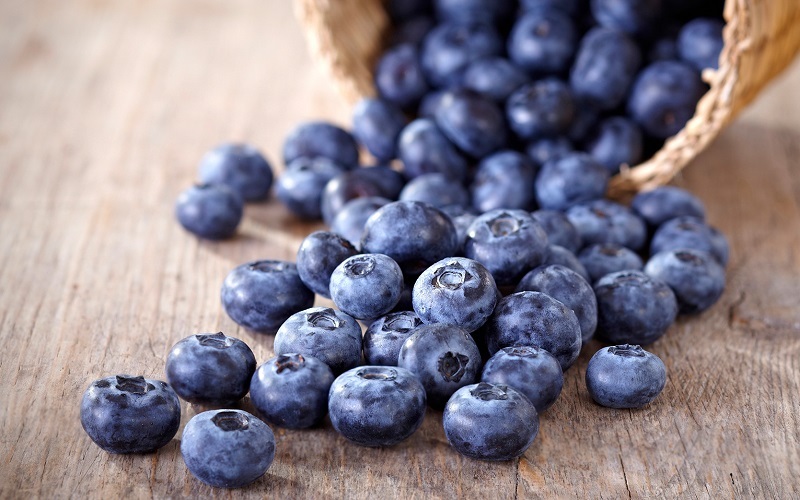 What might be considered one of the world’s original super-foods, blueberries pack more fiber, minerals, and nutrients per ounce than any other fruit in the store. Also, blueberries are shown to be full of free-radical-fighting antioxidants. Which means they help with preventing age related diseases. They are also a known memory booster. The same free-radical-fighting antioxidants help keep the connections between your brain cells and nervous system healthy. This ensures clearer, quicker thinking and may even help prevent Alzheimer’s. No, this isn’t a joke. Water is the ultimate food for a fit and healthy lifestyle. Out of everything on this list, water is the one thing you absolutely need to not only live, but also function properly. 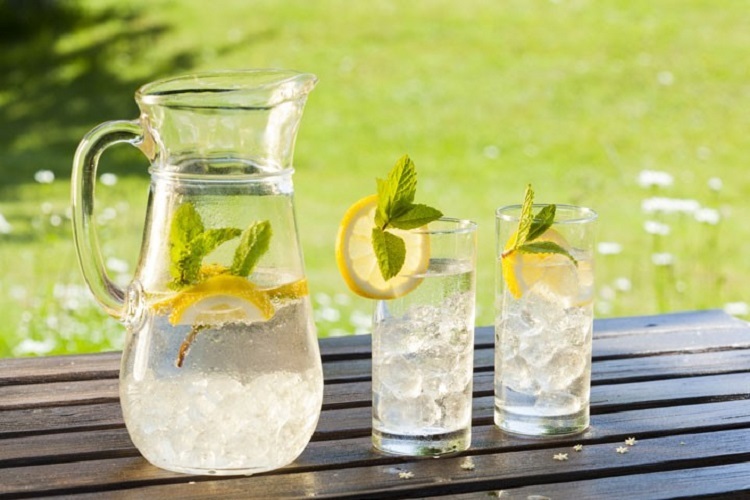 Drinking more water flushes toxins out of your system, insulates your joins, regulates your body temperature, prevents kidney stones, supplies the body with crucial minerals, and performs a host of other duties that keep your body in tip-top shape. Another benefit of water is how powerful it is in terms of weight loss. Something as simple as drinking one or two glasses of water before eating can help your hunger levels and cause you to eat less. But if you’re one of those people who have trouble drinking enough water in the day, buy a nice reusable water bottle and check out the various flavor additives like Mio or Propel powder.